OMG! Ayushmann Khurana, Kriti Sanon & Rajkummar Rao in a love triangle? OMG! 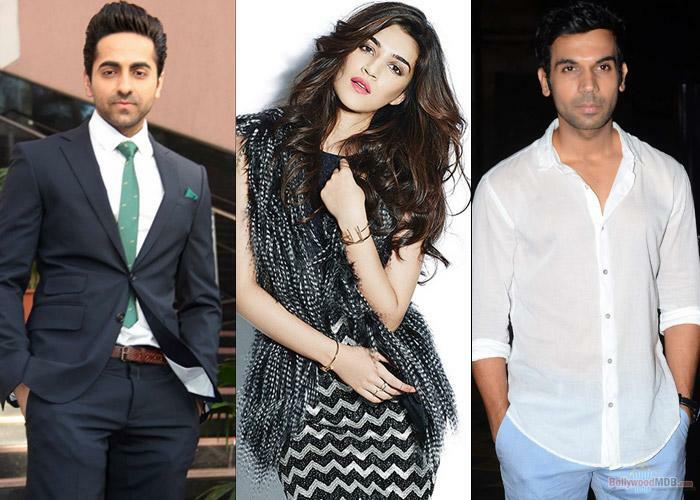 Ayushmann Khurana, Kriti Sanon & Rajkummar Rao in a love triangle? : Ayushmann Khurana, Kriti Sanon, and Rajkumar Rao are stuck in a love triangle. After her film, Rabata, with rumored boyfriend Sushant Singh Rajput, The actress heads to another romance genre but it is not just only romantic drama actually, it is a rom-com that compels Ayushmann, Kriti, and Rajkumar to get entangled in a triangle of love. Kriti has made her name in the Bollywood industry with her first debut Heropanti which also marks the debut of co-star Tiger Shroff and after this, she is one of the well-known celebs of B’town. The trio comes together for Ashwiny Iyer Tiwari’s upcoming titled Bareilly Ki Barfi. If you are thinking that the lady director is new in the industry then you are wrong guys she has also given us a beautiful movie Nil Bata Santa, starring Swara Bhaskar. She had also taken over Manmarziyan from Sameer Sharma featuring Ayushmann Khurrana and Bhumi Pednekar together once again. Talking about the characters of the film, Kriti will portray the role of a progressive and liberated girl. Her family engaged in a family business of a barfi shop, probably which gives the project its title. On the other hand, Male character played by Ayushmann and Rajkumar will essay the role of a printing press owner and an author respectively. On the work front, Kriti Sanon is now shooting for Raabta with co-star and rumored boyfriend Sushant Singh Rajput. Ayushmann Khurrana will be next seen in Manmarziyan with Bhumi Pednekar. while, Rajkummar Rao has three films – Amit Masurkar’s Newton, Vikramaditya Motwane’s untitled project and Ramesh Sippy’s Shimla Mirchi.